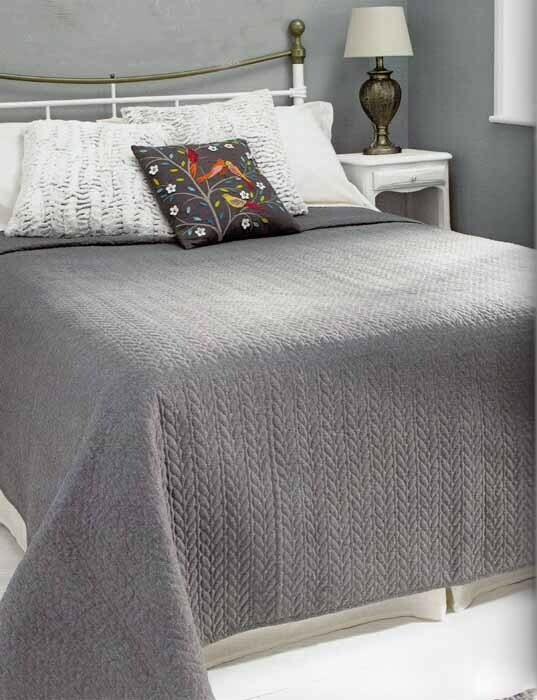 A New and stylish and contemporary mid grey soft 'cashmere feel' brushed microfibre quilt. All over machine embroidery with straight edges and no fabric joins. 100% polyester, filling 50% cotton 50% polyester.